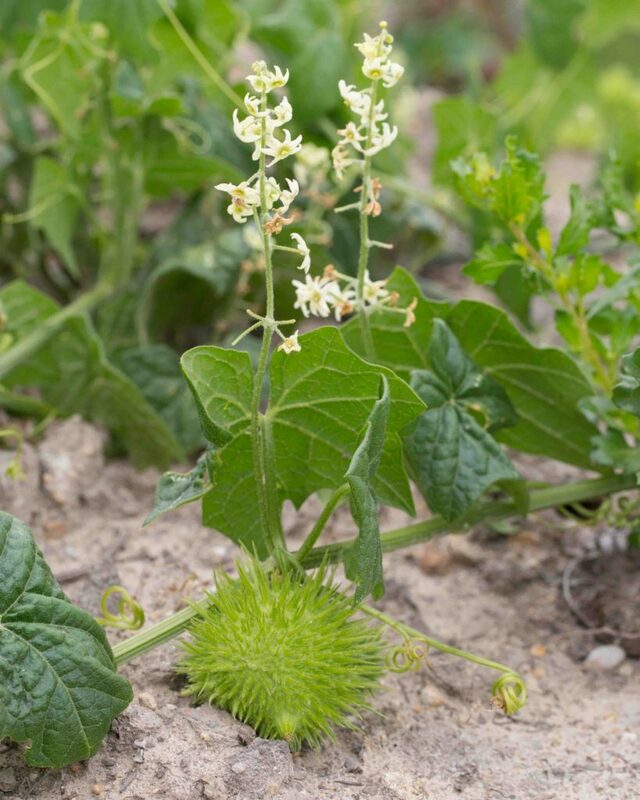 A common and aggressive vine which produces clusters of small (usually 5-petaled) cream to white flowers followed by large, prickly fruit. 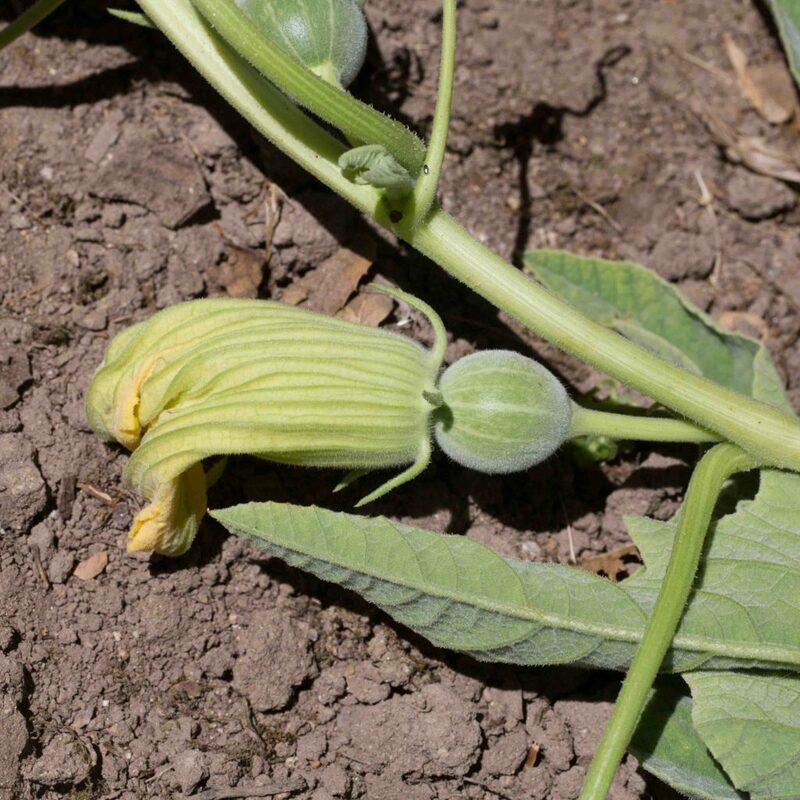 The plant is monoecious. 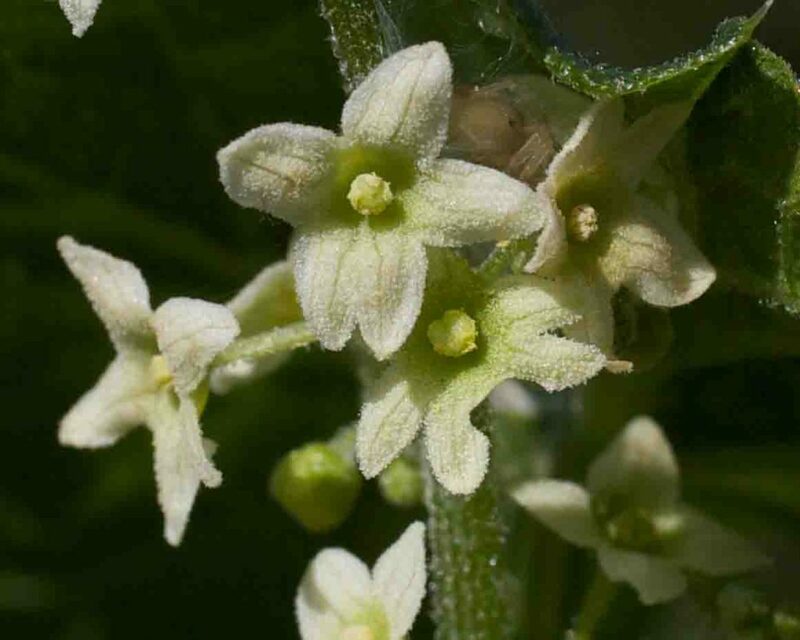 The clusters of small flowers are the male, the female flower (when present) is single, a little below the cluster of male flowers, a little larger and immediately recognizable by the prickly ovary which quickly develops into the plant’s fruit. 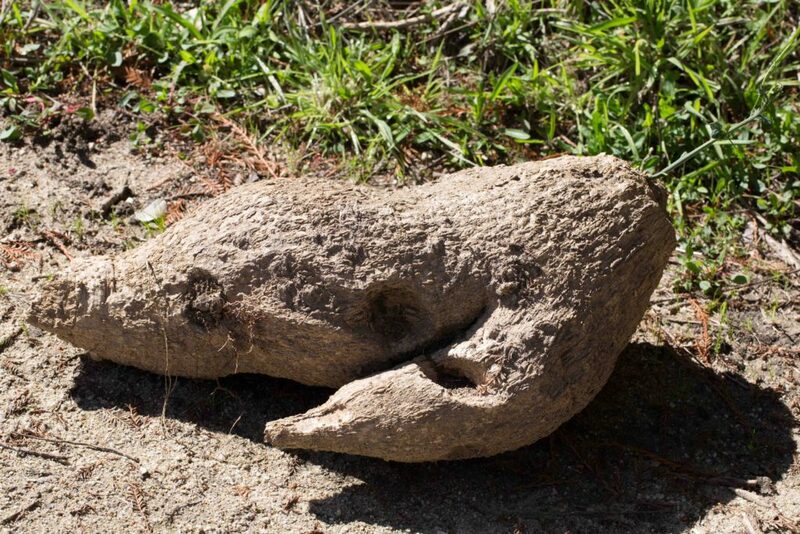 Sometimes known as Manroot, supposedly because the root is as big as a man’s torso. The right hand picture shows a modest sized-root which was 2 feet long and 1 foot wide. 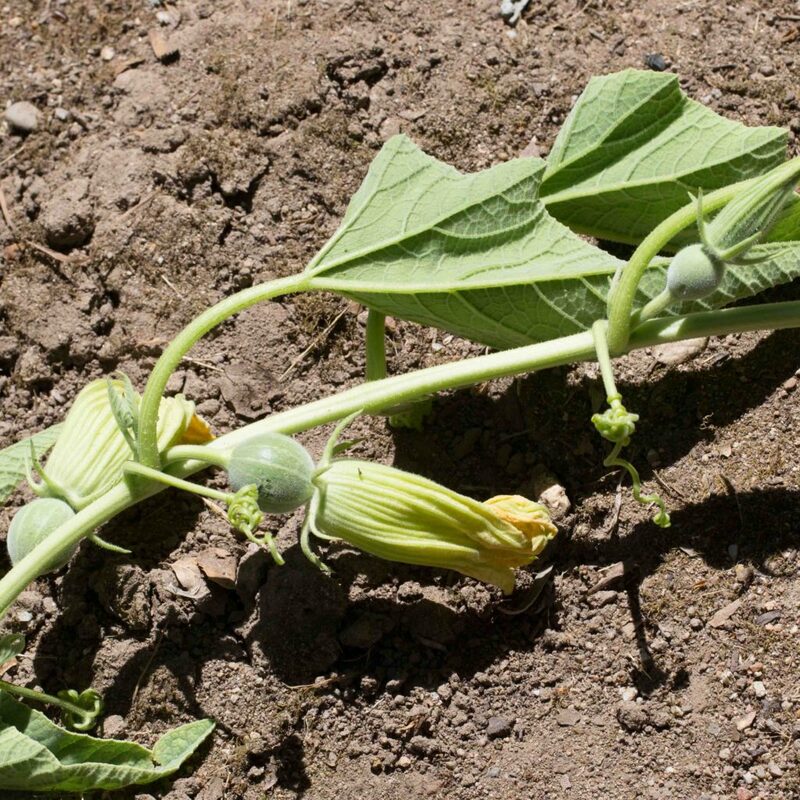 A native gourd, the stem branches attaching to other plants by tendrils. 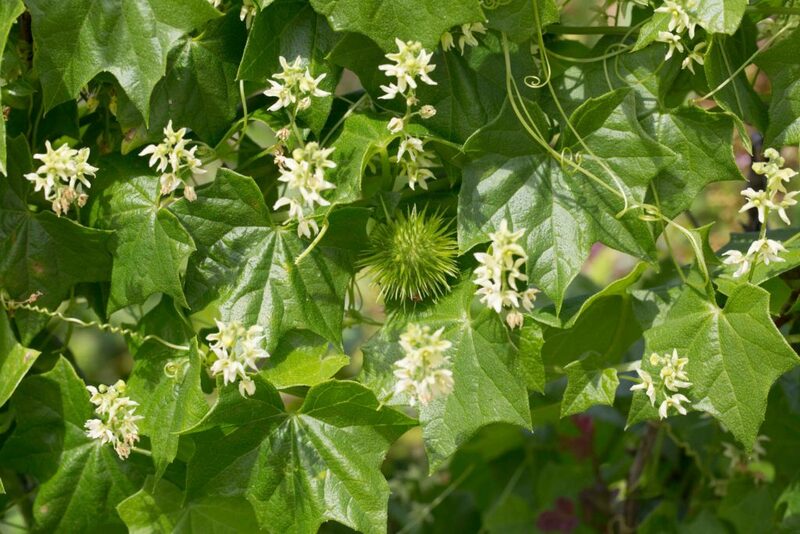 Leaves are triangular-ovate, 15–30 cm long, coarse and ill-smelling. Flowers are yellow, 9–12 cm long. 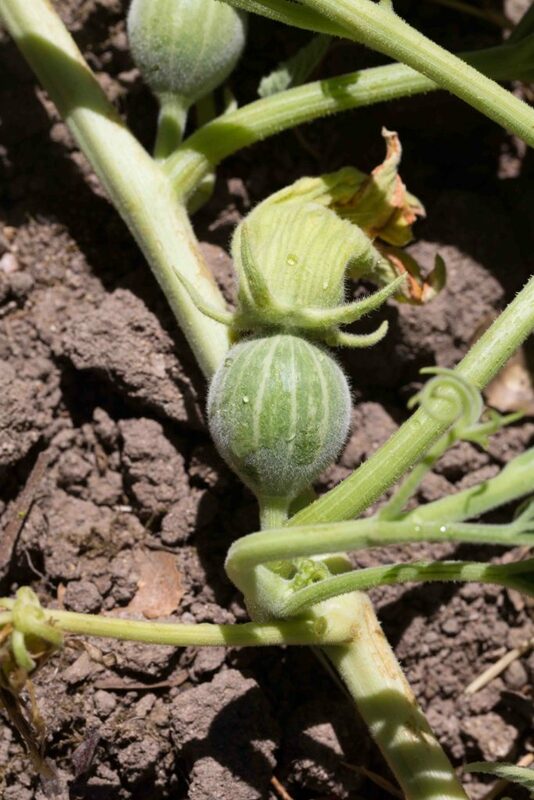 The fruit is spheric, 7–8 cm across, green, mottled with white stripes.